Olive oil has long been a much-loved and much-used ingredient in European cuisine. In the last decade, it’s also gained popularity in American household for its versatility and numerous health benefits. Alarmingly, a recent government crackdown in Italy had uncovered that most of the extra-virgin olive oil lining US supermarkets isn’t true to its name. As CBS news reports, Italy’s olive oil business is being corrupted by the Mafia, which is making big bucks tampering with Italian food products in ways that could affect American consumers. The Italians call it “Agromafia” and it’s estimated to be a $16-billion per year enterprise. standard for extra virgin olive oil (1). True extra-virgin olive oil comes exclusively from the first pressing of the olive harvest and contains no additives. “You know, when you see it there [in Italy], it’s this almost luminescent green,” says 60 Minutes producer Guy Campanile. “It looks like nothing you’ve seen before, and tastes like nothing you’ve tasted before.” (2). There are many (many) multi-national commercial forces at play, explains Forbes Magazine, and almost as many hot-button issues that cross industry lines, such as truth in labeling, lax governmental oversight, and underfunded or corrupt food inspection agencies. The Italian customs agency had been tackling the issue by conducting laboratory testing to discover which brands are producing fake olive oil in hopes of ensuring the quality of Italian products exported throughout the world. 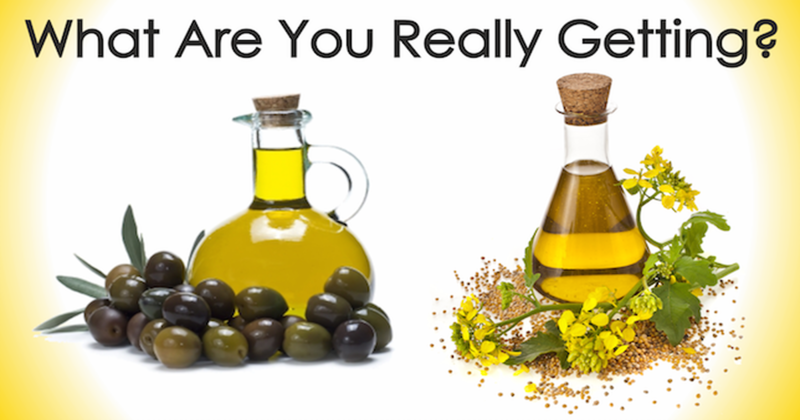 In most cases, the mislabeled oil is low-quality olive oil originating from Greece and Tunisia but some bottles actually contained seed oil (like sunflower) made to look and smell like olive oil with a few drops of chlorophyll and beta-carotene (3). Protect your family by keeping these few things in mind. Just because it says “made in Italy” on the bottle, doesn’t mean that it’s made with Italian olives. Make sure that the oil was actually pressed in Italy, not just packaged there. High end products should say which city it comes from. Look for cities like Lucca, Florence, Siena, Palermo, Messina in the olive-growing regions of Sicily or Apulia. If you don’t trust the brands in your local supermarket, order your olive oil online from a reputable grower. More and more farmers are bringing their products to the internet to avoid Mafia interference. 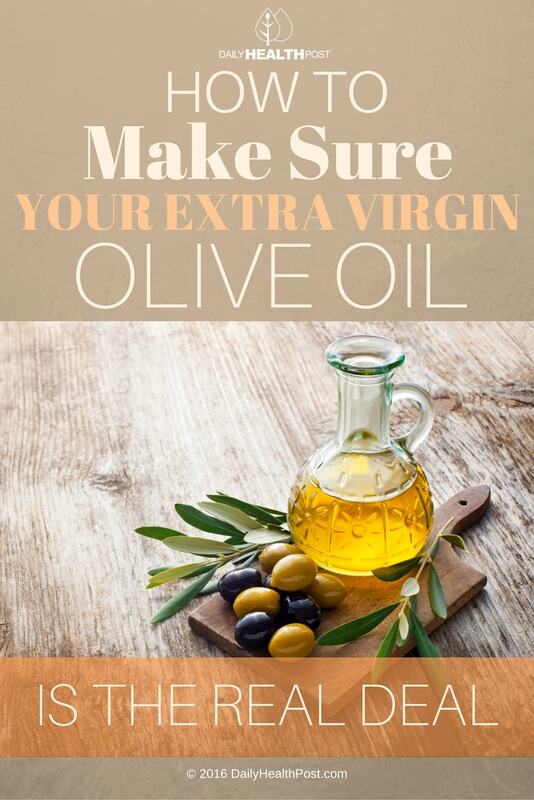 Pure olive oil can keep for 2 years without preservatives. Make sure the expiry date on your product is fewer than 2 years from the date of purchase but at least a year away. California olive-growers make great local olive oils that meet American standards of production. This means that they are most often fresher, more affordable and more authentic than their European counterparts. If you’re lucky enough to be living in California, you can even go visit their production site and speak to the farmers to make sure you’re getting a reputable product. When you buy a product from the other side of the world, you have to be ready to pay for the transportation cost. Olive oil, like wine, is a product where price can tell a lot about quality. The bottles at the grocery store that cost the same as corn oil probably contain the same ingredients. Extra-virgin only comes from the very first pressing of each season’s olives, meaning that it’s pure and luminescent green. It also has a very powerful, almost peppery flavor that catches the back of your throat. Make sure that your olive oil is in a tinted bottle — typically brown or green. Clear bottles degrade the oil because of the light that is let in.